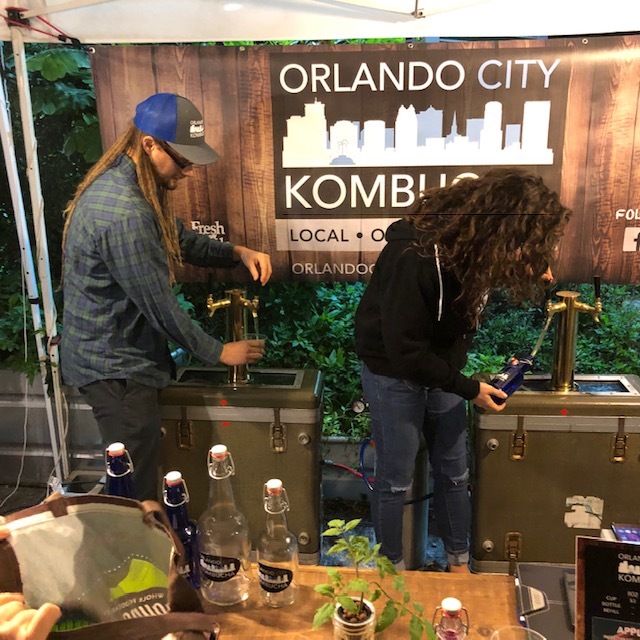 Orlando City Kombucha has been expanding throughout the Orlando area, crafting small batch brews of kombucha with locally sourced organic products. The lightly fizzy, creative flavors are available at three farmers markets as well as an increasing number of taps in stores and restaurants. Joshua Archer, co-founder and head brewer started brewing four years ago, making it for friends and family. The company started selling to the public in 2015. There are several regular flavors but the creative side emerges when you look at the seasonal brews. The flavors reflect the local Florida culture (mojito, mimosa, fyah) as well as the tropical nature of the state (mango and elderberry, watermelon and mint). The current seasonal, Apple Spice is a perfect taste of the spices in an apple pie or cider. Calmbucha is a mildly flavored brew that would be THE perfect palette cleanser at a holiday (or year round) meal. Well, it took more than a year for this video to go from taping to putting it up online. The reason? We just completed a terrific one-day course on beginning editing (at Austin’s Precision Camera) which allowed us to cut seven minutes of footage into its best two-plus minutes. The video was shot at Berlin’s Café Barbucha and features its owner/master brewer/wizard of all thing fermented, Ted Zagrabinski. Ted has some interesting things to say about his journey to becoming one of Germany’s (if not all of Europe’s) leading kombucha brewers. With some basic editing skills in hand, future videos will not take a year to put up. Amazing what you can find at your local farmers’ Market if you have kombucha on your mind. At the Kombucha Network, our goal is to promote a healthy lifestyle. One way is to start by eating farm-fresh organic food. The local farmers market is always a good place to start. Here in Austin, there are several farmers markets, including ones downtown and two at local malls north and south of the city. On a rainy Saturday in September, we tackle the one at the Barton Creek Mall, a few miles south of downtown. Because of the weather, there was no music. As we travel about the country, we are always searching for new kombucha brewers and anxiously tasting new flavor combinations. One vendor called us “kombucha hunters” which seemed to perfectly sum up our interest in kombucha — so it stuck. Most recently our travels have been predominantly in the United States. Since we have been intrigued by kombucha for several years, we wanted to share our overview of the changes we have observed in the landscape of kombucha. Kombucha started in many communities with vendors at farmers markets. As these vendors grow, they get into local stores or open a taproom. Think Panacea Brewing in Wilmington, NC (thankfully, they survived the hurricane), going from two markets to a taproom. Recent visits to the Hollywood Farmers Market and Santa Monica Farmers Market were surprising in that there were no kombucha vendors at either market. What that tells us, though LA is a very progressive market, is that kombucha is part of the local lifestyle and available beyond farmers market and similar outlets. 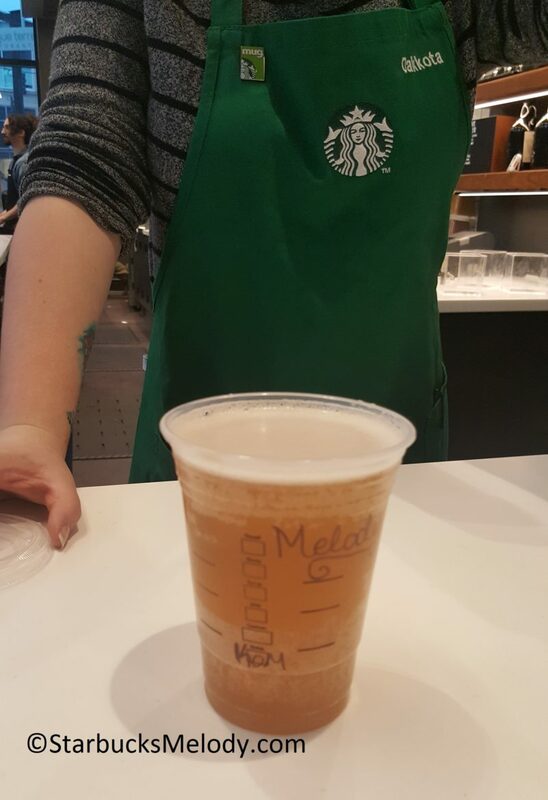 Given that it is now available at Starbucks, that trend will probably continue. 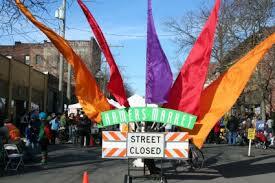 That doesn’t mean new vendors won’t start at local markets. Once such market vendor is Sanctuary Kombucha, in Round Rock, TX. They sell their apothecary goods as well as food products at the Wolf Ranch Farmers Market on Saturdays in Georgetown, TX. Geographically, as we work on updating our directory, the number of brewers is growing. The map had many gaps when we first started two years ago and some states had no vendors at all. But these market opportunities are beginning to be met. 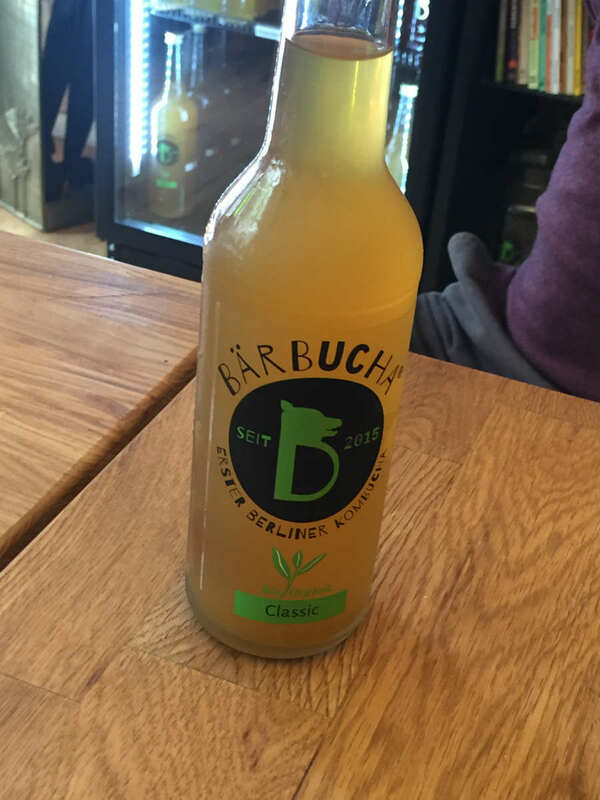 A notable example is the new brewer, BareBucha available on a truck, in Waco, TX. Also, Phoenix, AZ had no local brewer until All About the Booch opened. It is exciting to see small business people with a passion for health jump into the market. 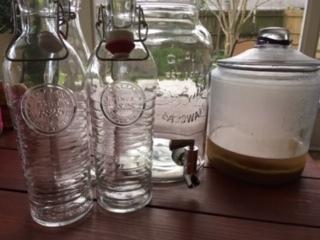 It will continue to be, in most cases, a small market product given the challenges of producing and transporting kombucha while maintaining quality. We cannot ignore the fact that big beer vendors are seeing the benefit of adding kombucha to their beverage lineups. The purchase of Clearly Kombucha by Molson Coors is a good example where the distribution network of a beer vendor is perfect for expansion. The challenge is successfully transporting a refrigerated beverage in some parts of the country with excessive heat. Bottling kombucha in cans will help address some of the transport issues. It also will broaden the market opportunities, allowing it to go to the beach, boating and other outdoor activities where glass is forbidden. Existing brewers are adding new blends and varieties, including drinking vinegars, shrubs, and kefirs to name a few. 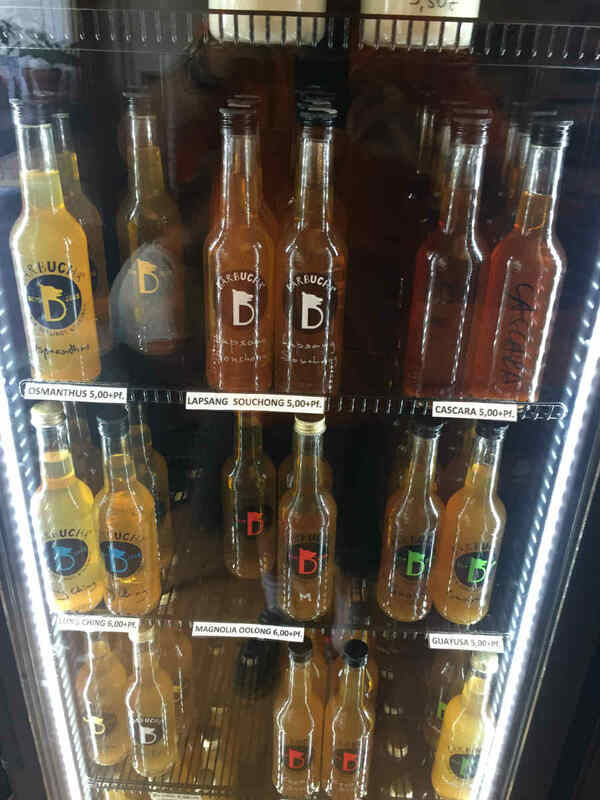 Live Soda, here in Austin, TX, has several offerings in its product line after starting with kombucha. GT’s has added kefirs and coconut yogurts to its offerings. The kimchi flavor kefir is a definitely unique (and delicious) flavor offering. GT’s is fueling its growth by placing local brand ambassadors promoting their products in select parts of the US. Alcohol content continues to be an issue for kombucha brewers. Controlling the quantity of alcohol in a kombucha requires careful management of the production process. One way to deal with that is to sell hard kombucha. Kyla Kombucha is a hard kombucha with two flavors. The alcohol content is 6.5% and adds kombucha to a range of alcoholic beverage offerings. We first saw it in Southern California (of course) and then happened to be in the mothership Whole Foods location the day it launched in Texas. There will likely be more entrants in to this market opportunity. We have noted that various states label kombucha differently when they contain more alcohol. We have seen a black label for some GT’s products in Florida that specifies higher alcohol content. Millennials, aren’t they great? They drink kombucha with their meals, as their all day beverage and seek it out on tap in restaurants. DIY kits are now readily available in natural food stores, home brewing stores and online. When we first started brewing six years ago, it took a long time to find a starter kit at Wheatsville Coop in Austin. Now, that store has three flavors of kombucha on tap. We recently purchased a starter kit for our millennial, an avid kombucha drinker. 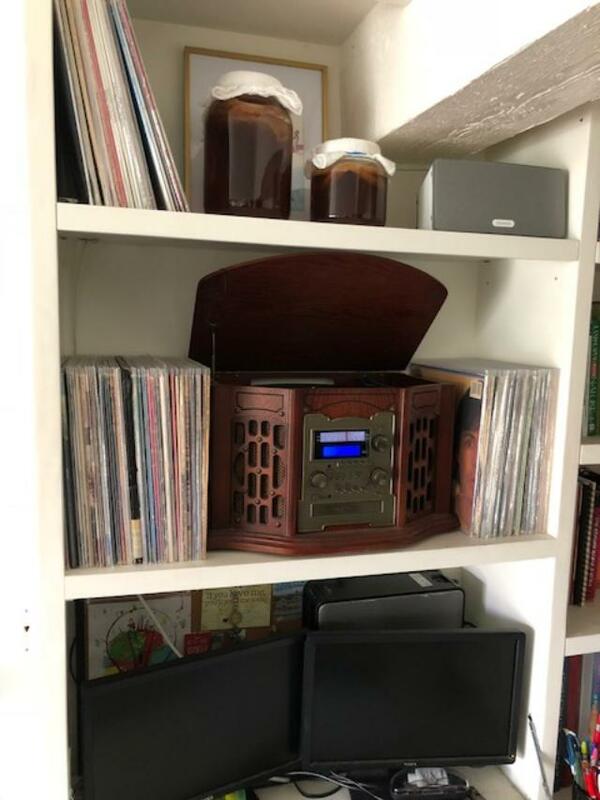 She placed the first batch on the shelf next to a Sonos speaker, just above the vintage vinyl collection. Not sure if it was the music, or the light, or the good feeling of being in Southern California — but the brew was perfect and better than any of our recent ones. Kombucha will continue to find acceptance in the mainstream grocery store as more people become exposed to it. In many outlets, it still requires a scavenger hunt to find where it is located, although many stores are beginning to have a cooler dedicated to kombucha offerings. First Starbucks, What’s next? 7-11? To conclude, those are our current thoughts and observations from the road as we continue our hunt. Follow our travels on Instagram, Twitter and Facebook. Please share with your thoughts and ideas. Apparently, a new Netflix rom-com, “To All the Boys I’ve Loved Before,” mentioned kombucha, and now its all the rage. When Peter Kavinsky said he drank Kombucha, that’s when I knew I was in love with him. To scare off those who are psyched to brew kombucha but have no idea what a scoby is, Insider Food proudly displays one in its full glory. By the way, Starbucks has launched its own line of kombucha. People seem pleased. Kombucha has always been touted for its health benefits—sometimes based on clinical research, sometimes based on the wisdom of the foodie forward crowd. In reality, recent studies find some unexpected benefit from the probiotic component in this popular fizzy brew. As we age, it’s a fact our bones lose their calcium composition which can lead to such issues as obstreperous and osteopenia. With either of these maladies, bones become brittle and subject to fractures and other related problems. A study from the University of Gothenberg which was published in the Journal of Internal Medicine found that the probiotic strain Lactobacillus reuteri is effective at significantly cutting bone loss. Lactobacillus reuteri is not only found in kombucha but also in such fermented foods as kimchi and miso soup. Before rushing out to supplement your kombucha supply to keep your bones strong and supple, keep in mind that selecting a bottle (or can) that uses green tea as its base can offer your health benefits beyond a strong gut. Green tea has bioactive compounds that can do everything from reducing cell damage, offer powerful antioxidants, and provide a form of caffeine that stimulates your brain without giving you the jitters associated with coffee. I never remember the difference between horizontal and vertical integration, but Happy Kombucha, based in the U.K. obviously does. This company understands that the market is flooded with kombucha brewers, so they are making its mark as a supplier of all things fermented. This means that Happy will be providing supplies and equipment to home brewers and fermenters, in addition to supplying commercial brewers. From the tools to make fermented vegetables to kefir, if it is related to this healthy brand of eating, they have it. Happy Kombucha also sells the popular UK kombucha brand Love Kombucha. A five-pack of mixed flavors go for 12.25 GBP ($16.14). I have no intention of ever moving to Buffalo, but it sure is tempting when a developer called The Barrell Factory—a new loft community in the city’s Old First ward–is touting the eateries and bars in the new development and one of the pillars happens to be Snowy Owl Kombucha. 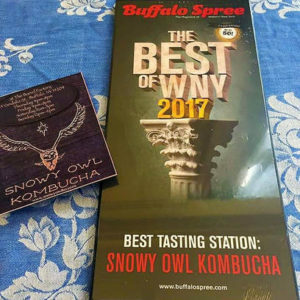 Snowy Owl won “best tasting station” in 2017 Best of WNY competition. (That’s Western New York, FYI). Current flavors include Tart Cherry Coconut and Strawberry Lemonade. The U.S. is not alone in its inability to develop proper uniform regulations for acceptable alcohol levels in kombucha. The issue is not setting guidelines, but more the inability for effective enforcement and monitoring. 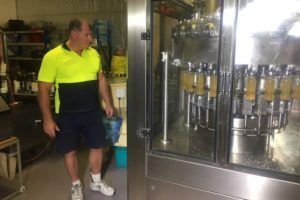 One brewer in Australia (who goes to great lengths to keep his alcohol levels low) maintains the government needs to do random checks on kombucha for sale in retail. A while back, we commented that the commercial kombucha industry would likely face a period of consolidation and acquisitions. To be honest, both of those trends have been slow to materialize for several reasons that range from issues that include government regulations and market fragmentation. Clearly Kombucha, based in the San Francisco Bay Area, moves the acquisition needle after being purchased by Molson Coors, brewers of such brands as Carling, Blue Moon, Coors and Molson (of course). The purchase was led by the company’s TAP Ventures group which is charged with expanding its overall line to include more brewed, fermented and distilled products. 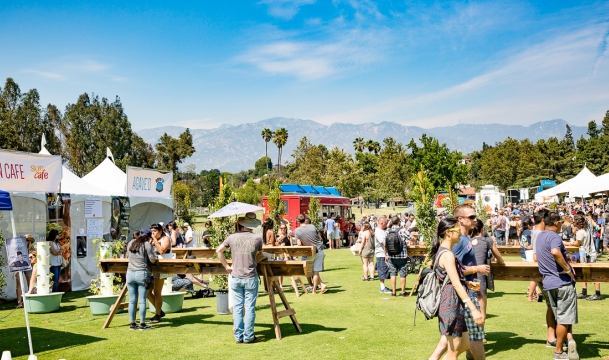 According to a story in BevNET, “The TAP Ventures team has been looking into opportunities in the kombucha space for the past year and identified Clearly Kombucha as an attractive company based on the growth of the health and wellness category, as well as the strength and expertise of the Clearly Kombucha team,” a Molson Coors spokesman wrote in an email to BevNET. Molson Coors will provide Clearly Kombucha will the opportunity for greater distribution. But, as the story points out, the company’s beer distributor clients will have the option to carry the kombucha line or pass. It raises the question whether fermented beverages fit the profile of large beer distributors and larger retailers such as BevMo and Total Wine and More. The need for refrigeration in both transport and storage/display could pose an issue, especially for beer distributors. One of the reasons that many brands have not expanded is the lack of control that happens when the brewing process takes place at remote or partner facilities. Will Clearly Kombucha be brewed at its current location or move to some of Molson Coors production sites?